A good friend of mine just sent me information on a new app. It is designed for people with FM or CFS to track not just symptoms, but pills, sleep patterns, pain, food on so on. This is such a complex illness it is impossible to keep track of what’s going on and how it affects us. I just purchased the app at Amazon for my Kindle. I haven’t explored it yet, so I don’t have any further details. I just thought everyone would want to know about this right away. Click here to link to their web page. 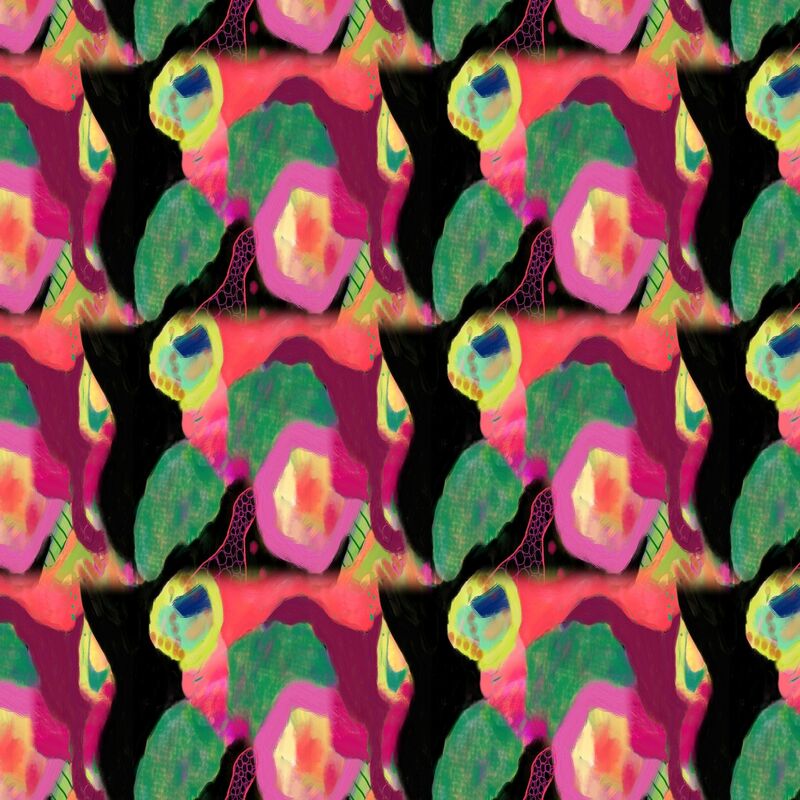 The picture above my blog is a seamless tile pattern design done from Abstract 9, which you can see on this page. A few years back I tried keeping a very simple record of FM, sleep and mood. I did this for several months and then charted it using a spreadsheet program. Alas, it showed no recognizable patterns at all. That cracked me up. You’re right, what we discover in the end is that we go up, and then we come down. Why, who knows? I keep thinking I ought to get a smartphone so I can try some of the apps. Trouble is it takes so long to learn to use new phones (even basic ones) thanks to brainfog that I avoid replacing them till I absolutely have to. My current phone is literally held together with sellotape! I hear you. This app only seems to work on Android. I have a Kindle, so it works on that. But it’s complicated. I’m having trouble figuring it out. I did visit and follow you. I like how your blog is set up. Thanks. I really wanted it to be representative of my personality and beliefs. It looks very interesting. I just started blogging in the Spring, and I don’t know where my blog is quite going. I just knew I wanted a blog. I don’t want to focus on FM too much. I want to focus more on how I got thorough the grief and despair of finding out I was sick and my life being taken away. I want to focus on how I got through the grief and made a life. I seem to be focusing on my art right now. I love the name of your blog. I’ve always been a rebel, ever since I can remember. I’m having trouble figuring it out. It tracks a whole lot of things, so I guess it has to be a bit complicated. I think it’s paperback, I really can’t recall. Brain fog. I started using FibroMapp at the first of the year. So far, I’ve only made a few daily entries so I haven’t had the opportunity to print reports or any of the other stuff yet but it does seem like it could be helpful.